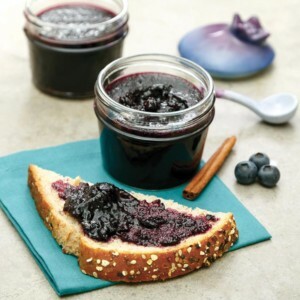 The health benefits from eating blueberries are so great that we decided to preserve them as a jam. Fresh berries spoil, but our fantastic jam is always at the ready. Paired with a bright hit of lemon juice and warm cinnamon, this jam is a keeper. Place the blueberries in a food processor, and pulse until mostly smooth. Transfer the puréed blueberries to a sauce pot over medium-high heat. Add the sugar, lemon juice, and ground cinnamon, and bring to a boil. Stir the pectin into the blueberry mixture, and let boil for 1 minute, stirring constantly. Remove from heat, and skim off any foam before transferring to tempered glass jars. Let set, unrefrigerated, for 24–48 hours, or until firm. Once set, store refrigerated for up to 3 weeks. If you would like to preserve this jam for longer-term storage (only recommended for people experienced with canning), you need to work with it while it is still hot. 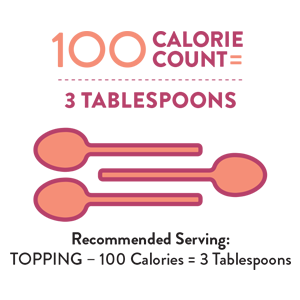 Spoon the hot jam into sterilized jars, leaving a ¼ inch of space at the top of each jar. Tap jars on the counter to remove air bubbles, clean the rims, and secure the lids. Process for 10 minutes in a boiling-water canner. HELPFUL TIP: You can find liquid pectin in the baking aisle of most grocery stores and near the empty canning jars in the kitchen supplies of most big-box retailers.